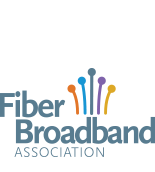 Anaheim, CA – During today’s FTTH Connect 2015 conference, the Fiber to the Home (FTTH) Council Americas released a white paper finding that access to fiber may increase a home’s value by up to 3.1 percent. Using the National Broadband Map and a nationwide sample of real estate prices from 2011 to 2013, the study’s authors investigated the relationship between fiber-delivered Internet services and housing prices. The boost to the value of a typical home -- $5,437 -- is roughly equivalent to adding a fireplace, half of a bathroom or a quarter of a swimming pool to the home. The study adds to a growing list of others showcasing the consumer benefits from widespread access to fiber broadband Internet. There have been a number of studies linking broadband networks and new investments in such networks to improved economic performance. And the speed and reliability fiber provides offer further benefits. Most recently, in 2014, the FTTH Council released a study finding higher per capita GDP in communities where gigabit Internet was available. Infrastructure investment, job creation, entrepreneurship, and companies relocating or expanding to your city are all manifestations of this growth. Today’s study found that, for homes where 1 gigabit-per-second broadband was available, transaction prices were over 7 percent higher than homes located where the highest speed available is 25 Mbps or lower. Follow us on Twitter @FTTHCouncil, and the hashtag #FTTHConnect for live tweets from the conference.